Is vaping bad for you? The answer is that researchers are finding it’s not so harmless after all. My husband has been on and off cigarettes for as long as I’ve known him. He recently turned to vaping to try to kick the habit. While the smell of strawberry candy and chai tea is certainly more appealing than that of cigarettes, I had some serious doubts about the safety of inhaling such factory-crafted flavors into one’s lungs. Is vaping bad for you? It turns out, my misgivings were not unfounded. A vaping device, officially known as an electronic nicotine delivery system (ENDS), heats a liquid, sometimes called e-juice, until it is a vapor that the user inhales. There are many varieties of e-juice. The simplest varieties can be made of just two ingredients: vegetable glycerin, which is used in foods, cosmetics, and as a replacement for alcohol in herbal and botanical tinctures, and flavoring. People who are trying to quit smoking often begin with the nicotine versions to ease their cravings. But even though the nicotine is not being burned, it is still damaging to lungs, found Irina Petrache, PhD, and colleagues. [1,2] Inhaling nicotine in any form promotes lung inflammation, compromises lung endothelial barrier function, and decreases lung endothelial cell proliferation, her team found. If You Use a Non-Nicotine Liquid, Why is Vaping Bad for You? Even the non-nicotine e-juices can be problematic, Dr. Petrache and colleagues found. [1,2] When researchers look closely at what’s in vape liquids, they’ve found a variety of additional substances. Nitrosamines,[3,4] which are linked to cancer. Potentially toxic carbonyls, including formaldehyde, acetaldehyde, acetone, and butanol. One study found that with vaping, the exposure to formaldehyde is five to 15 times higher than the exposure from smoking cigarettes. Heavy metals and silicates that the liquid picks up from device’s heating element. Further, in vitro research suggests potential cytotoxic effects of e-liquid flavorings. Because vaping has a better odor than traditional cigarettes, I’ve noticed the people feel much more comfortable about smoking them indoors or in front of children. It’s hard to think of flavors like waffles and ice cream bring as toxic as smoke, but it’s a false security. One study found that vaping worsened indoor air quality by increasing the concentration of nicotine, particulates, polycyclic aromatic hydrocarbons, and aluminum. The Bavarian Health and Food Safety Authority reported that these compounds that have been linked to cancer as well as lung and cardiovascular disease. While vaping is not a harmless activity, many experts suggest that it is the lesser of two evils. Although formaldehyde levels are shown to be higher, a study found that some toxic substances have levels 9 to 450 times lower than in regular cigarette smoke. If you are trying to quit smoking, vaping may be a healthier option in the short-term, but the long-term effects are simply unknown. Instead, consider other smoking-cessation aids, such as NAC, to help you kick your habit. Also check out the smoking cessation ideas here. Have your tried vaping to quit smoking? Have you tried other smoking cessation strategies? Please share your experiences in the comments section below. American Physiological Society. Press release: E-Cigarette Vapor—Even when Nicotine-Free—Found to Damage Lung Cells. Medscape Internal Medicine. E-Cigs: Is It Safe to Vape? Reference Committee D. Use of Electronic Cigarettes in Smoking Cessation Programs. Report of the Council on Science and Public Health. CSAPH Report 6-A-10. http://www.ama-assn.org//resources/doc/csaph/a10csaph6ft.pdf. Accessed Augst 21, 2013. Huffington Post. Is Vaping Safe? Cancer-Causing Substance ‘Formaldehyde’ Hidden In E-Cigarettes. Scientific American. E-Cigs and Secondhand Vaping. Ban Toxic E-Cigarettes Indoors Says World Health Organization. Environmental Health Perspectives. Vaping and Health: What Do We Know about E-Cigarettes. alcohol, cancer, cardiovascular, cardiovascular disease, children, endothelial cells, food, food safety, health, inflammation, is vaping bad, is vaping bad for you, is vaping better than smoking, is vaping safe, nac, nicotine, quit smoking, report, second hand smoke, smoking, smoking cessation programs, smoking cigarettes, tobacco. Regular smokers admit that they dislike the smell of smoke. E-cigarettes create a water based vapor that does not produce a lasting smell, which means that you no longer need worry about having smelly clothes, car interiors, or curtains. 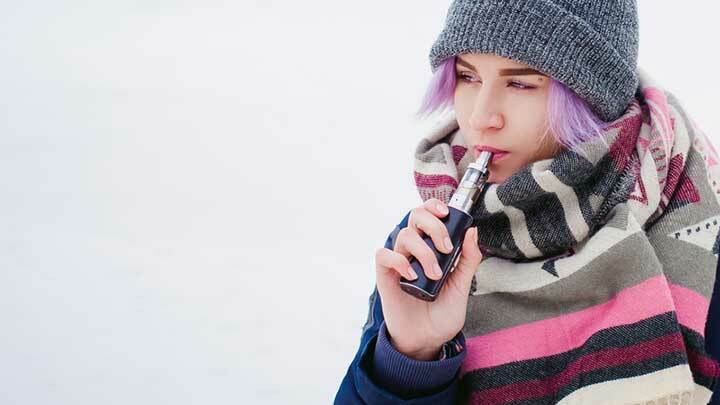 Furthermore with vaping you do not have to deal with other nasty side effects that come with smoking such as yellow fingertips, bad skin, tooth discoloration, and an altered sense of taste. I was diagnosed of chronic bronchitis 2017. I had no temperature, but coughing, wheezing and shortness of breath. My doctor gave me antibiotics and cough syrup for my bronchitis, still not better, so called in a Z-Pak which did not help. I went to see the doctor again and he put me on Levaquin, prednisone shot and pills. I was somewhat better but still having breathing problems and coughing. After countless hours of online research and trial & error. What worked for me was chronic bronchitis herbal remedy I purchased from Best Health Herbal Centre. I only used the chronic bronchitis herbal remedy for five weeks. Reversing chronic bronchitis has completely transformed my life and I am so grateful for my success. I have had emphysema for about five years. I was on oxygen during the day but not at night. I could go about two hours without the oxygen, and then I need it. I had a converter in the house and oxygen tanks for when I go shopping, etc. I am 64 years old and in relatively good health. The doctor said it was caused by a combination of smoking, dust here in Vegas, and 30 years of smog in California. I believed I will always need the oxygen to breathe. I quit smoking 15 years ago. But the damage has been done. 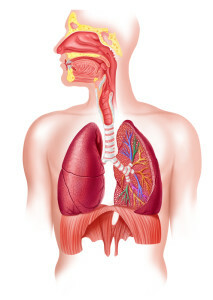 January 2017 my pulmonologist and I decided to go with natural treatment and was introduced to Green House Herbal Clinic natural organic Emphysema Herbal formula, i had a total decline of symptoms with this Emphysema Herbal formula treatment. Visit Green House Herbal Clinic official web-site greenhouseherbalclinic. com. The infections, shortness of breath, fatigue, dry cough and other symptoms has subsided. I am very pleased with this treatment. I breath very well now and exercise regularly, sometimes i totally forget i ever had Emphysema, I am thankful to nature, the medics failed. Share with friends!! 58 year old white male. Smoker, from age 19-49. Social stigma forced me to seek an alternative. Ordered my first ecig unit from China in April 2009. Have not used a standard tobacco cigarette since that date. Family history of heart disease and lung issues. I was experiencing what I thought was the beginning of those issues for me. To date (September 2018, almost 10 years later), I’m still okay. Great activity stamina. No longer wake in the middle of the night, unable to breathe. Just yesterday, I scaled seven flights of stairs in near heroic time. I was only slightly winded when I reached the top. This isn’t a testimony for ecig use, but instead, only my undocumented account of events since stopping traditional tobacco use. Had been smoking since my late teens- not particularly heavy by any means but a smoker non the less….my friends had all stopped a few years ago so thought it would make the move to vaping….glad I did- haven’t smoked a cigarette for about 3 weeks…vaping really works I highly recommend ( although I presume and hope) vaping isn’t as bad to the body ! My use of smoking and vaping sit in a very particular space, that of ulcerative colitis. I have no difficulty ceasing smoking but during a colitis flare have used smoking to reduce symptoms when it is especially drug resistant. I don’t like smoking and my son trialed a number of vaping devices to help me find one that worked for my condition. I’ve been using a nicotine salt device for 9 months and up until recently had been doing well. The link between smoking and improvement in colitis symptoms for smokers and ex-smokers is well documented. I hope someone can factor in vaping as it has been a relief to limit the other adverse effects (health, social, quality of life) of actual smoking during this time. I do end up wondering if this recent flare (the worst in 5 years) is due to stopping ‘maintenance smoking’. May have to start again soon but would like to also consider the rest of my body and system beyond my gut. dang Karrem u have been diagnosed with every disease known to man. I felt like this article didn’t really have anything to say. Yeah, I want to know the health difference between smoking and vaping, especially the recovery of sinuses when you switch. The studies referred seems to be the general state of “let’s hook an e-cig to machine that vapes until your coil burns out and let’s continue to add formaldehydes”. I think we need a little bit better articles. I love that this article uses ‘The Huffington Post’ as a citation hahahaha. Such credability in where this lady has done her research. This is purely an opinion piece that she has cited places that back her up and then the last paragraph compltely goes against her original point. Rather amusing. I used to chew tobacco, and being the Southerner that I am, I swore to myself I’d never vape or anything like that. However, in 2018, at 22, I saw how bad my teeth were getting and wanted something new, plus the heartburn from loose leaf was awful. My friends at my job suggested vaping. I have for going on a year now, and my suggestion? Don’t get a nicotine habit if you don’t have one. I am with my school newspaper, and I have a story due about the risks of vaping. I need a source that can tell me about why teens have started vaping. Does anyone have any recommendations? I never thought I would quit smoking. I tried and failed, using every smoking cessation tool out there. They are all lousy. Only non-smokers seem to think they’re going to work. When e-cigs came out, I tried them but still expected to smoke cigarettes most of the time. In a week or so, I preferred the vaporizer to cigarettes. Now 5-8 years later (I didn’t note the date-didn’t expect any big change at the time), I haven’t had a cigarette and have no desire for one. I no longer have the lung congestion or smoker’s cough. I am thankful for e-cigs. I have been buying the Blu and Jule e cigs with refill pods. It has been over about 4 months now without smoking a cigarette. I was up to about half a pack per day for 16 years.